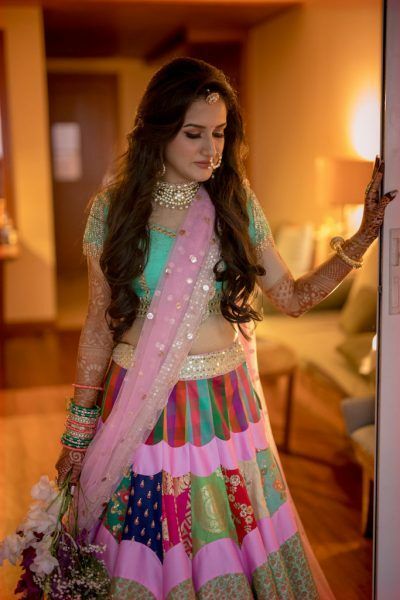 This Bride Pulled Off Three Unique Theme Based Outfits At Her Wedding ! 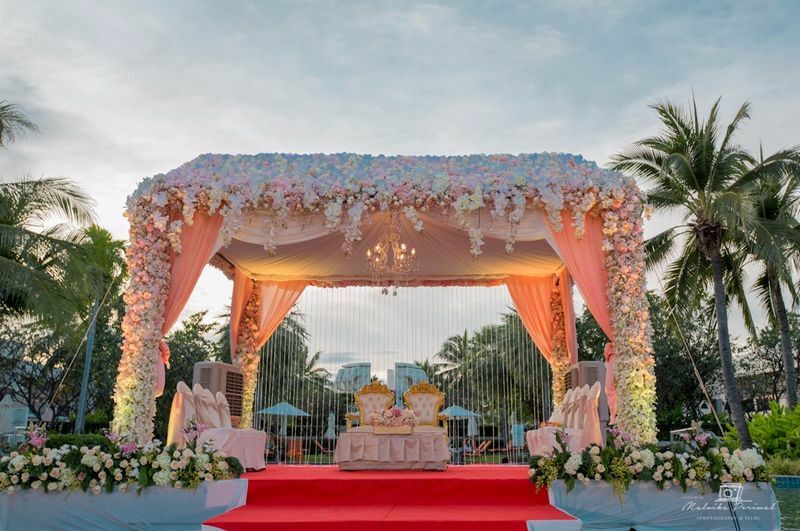 We love a couple that tries out something new, and this wedding in Thailand had all the elements of a dream wedding, not just for the couple, but a memorable one for the guests too! 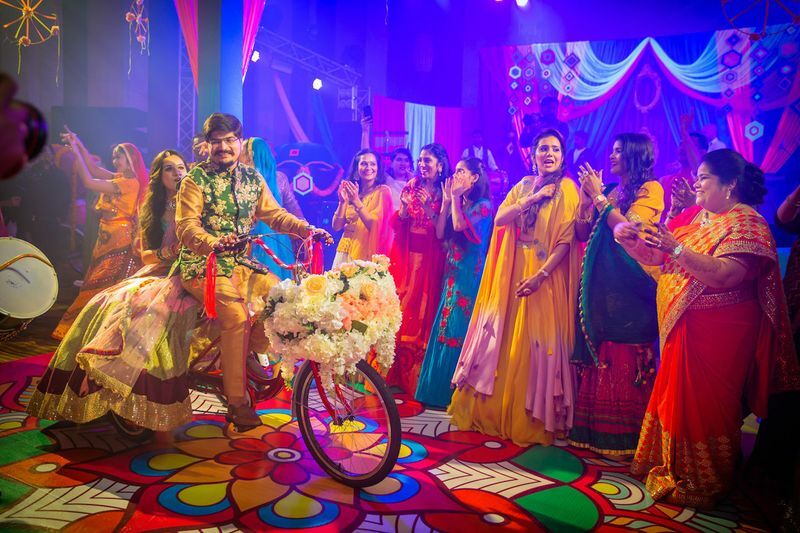 The couple pulled off some amazing themes at every function, thanks to their wedding planners F5 Weddings★ 5 who did a fabulous job with making the wedding unique and so much fun! 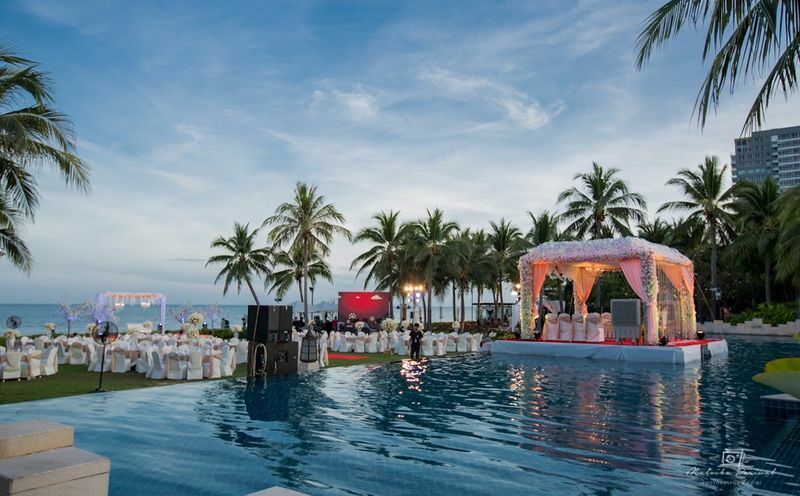 Malvika Periwal Photography captured all the happiness at the wedding that took place at the Sheraton Hua Hin! 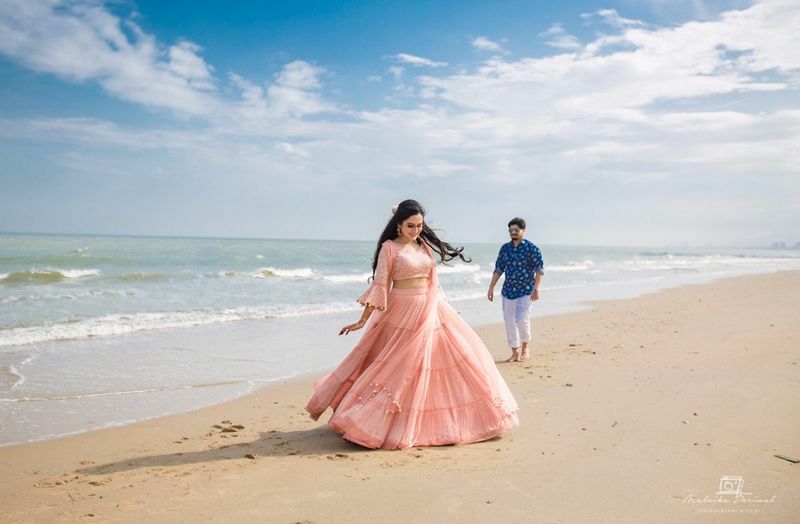 Here are some cool themes they pulled off at each of their pre wedding functions, and all the unique elements that came along with it! 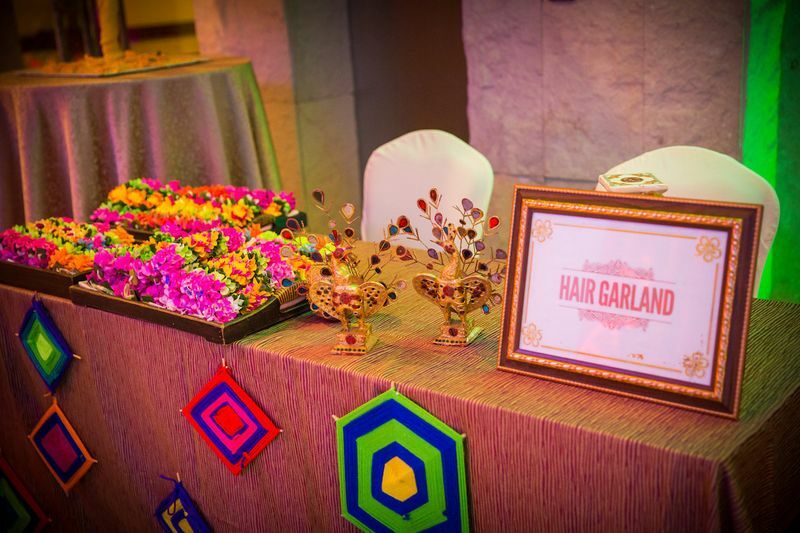 They had a Mehendi ceremony themed “Shaam-E-Mastaani’ where the neon décor comprised of floral, vibrant colored handmade dream catchers and a massive dance floor. The bride and the groom entered in a Tonga Cycle which was followed by a family flash mob performance. The one act which enthralled the guests was a traditional ghoomar and dandiya dance by the Thai girls. The after party was a lot of fun with Rajdeep Chaterjee who got the house on fire with his stunning performance. 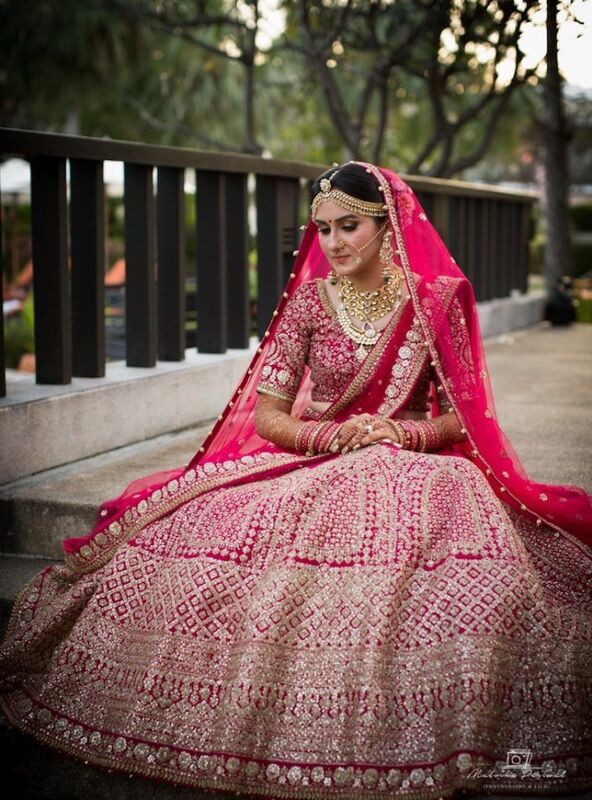 Btw, that fab lehenga is from Liz Paul★ 4.4 . Day 2 started with a colorful and quirky Hawa Hawaiian Pool Party with tons of water and carnival games for each one to win exciting prices. Lots of goodies were displayed for guest to use from Hawaiian Shirts for men to Sarongs for women and flip-flops. Water gun, boat rides, beer pong, Hawaiian dances, Bongo act to Dunk tank, this pool party had it all! 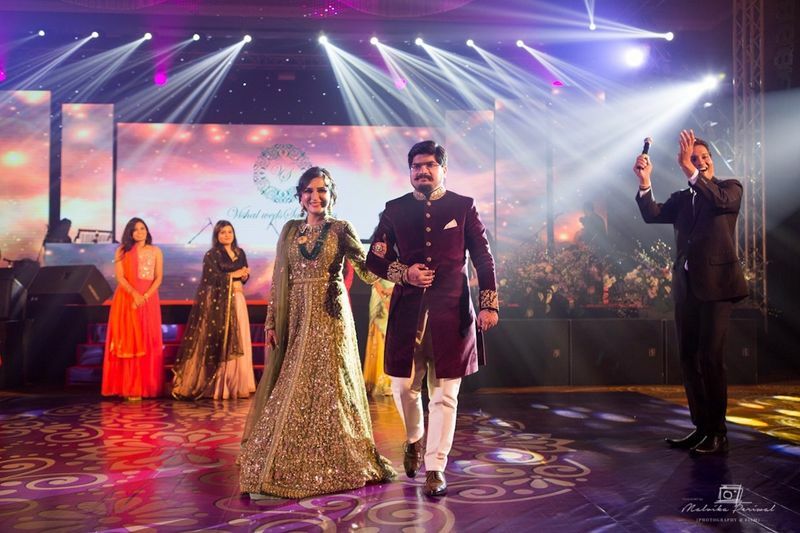 This glamorous Sangeet had a grand opening with the bride and groom entering with an entourage of their friends dancing. The celebrations started with the powerful Taiko drums followed by family performances. Tron Dance had the audiences glued and Thai fan dance was marvelous. Between the family performances we had fun awards night hosted by the Duo of Sandeep Dhoom and Rohan Sequiera who had the audience in splits with their crazy jokes and acts. The night picked up a high when Parleen Gill took over the stage for his amazing performance. The bride's outfit is by Simaaya★ 3.1 . The wedding day started with the auspicious Myrah ceremony. Post that the groom entered the baarat in a vintage car with a DJ truck and Punjabi dhol which got all the guests dancing and grooving to the beats. When in Thailand, we had to use some the famous Thai dragon dance. And our beautiful bride entered like see a star descended from the sky straight on the open dholi with diya apsaras accompanying her towards her groom for the Jaimala ceremony. The Jaimala was spectacular! It was descended by drones with fireworks. 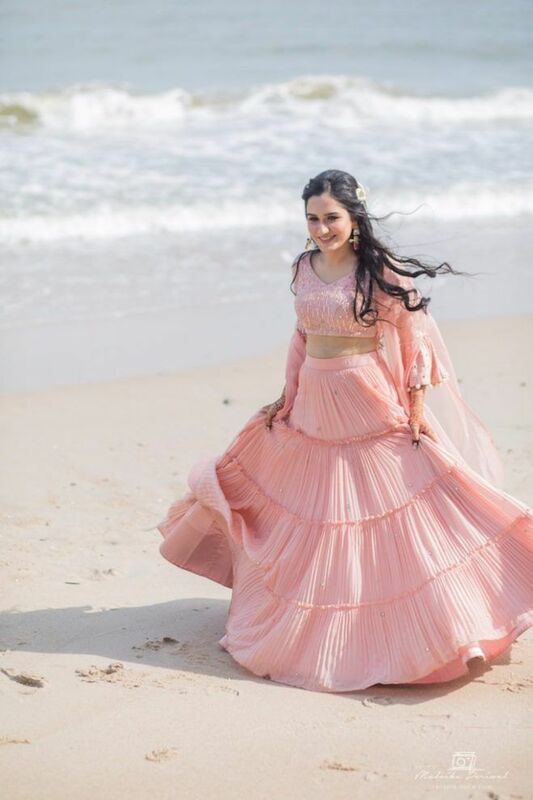 The gorgeous mandap was completely decked in pastel hues and chandelier with the ocean as the backdrop. 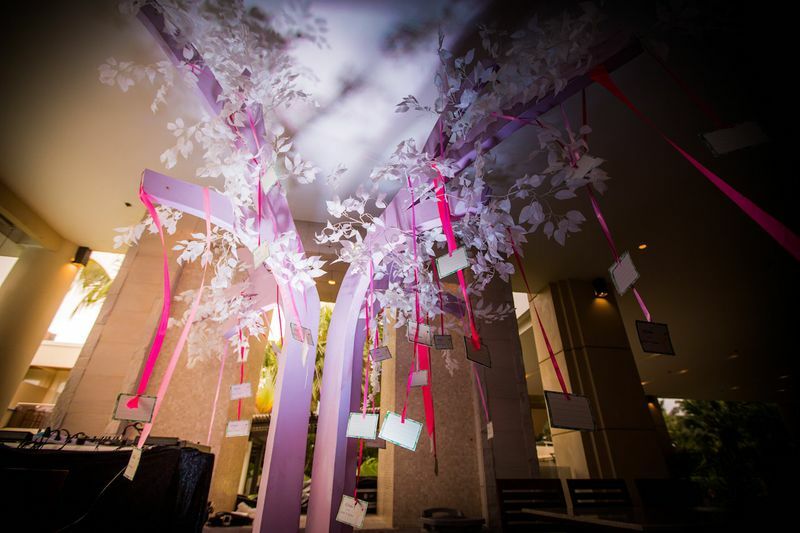 The décor included cute venue signs and flower petal cones hanging on the back of chairs. 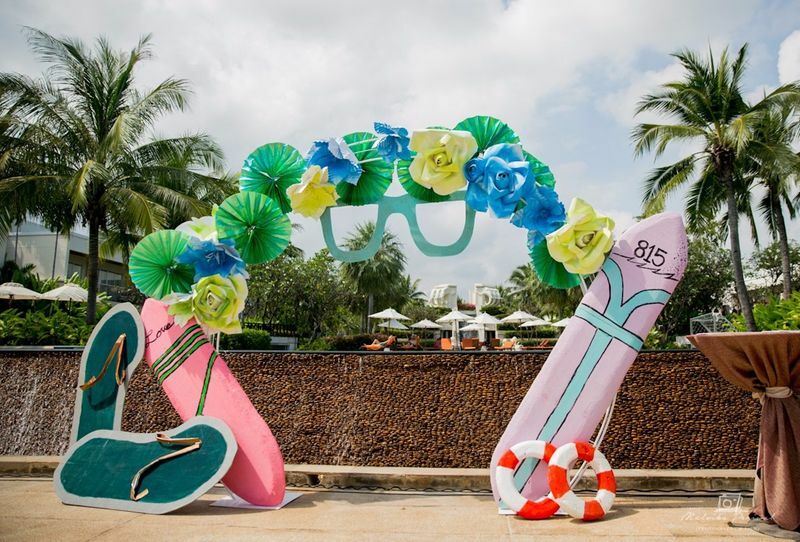 "The bride and groom wanted their destination wedding to be fun and full of entertainment. Being in Bangkok you are surely picturing the most perfect wedding. 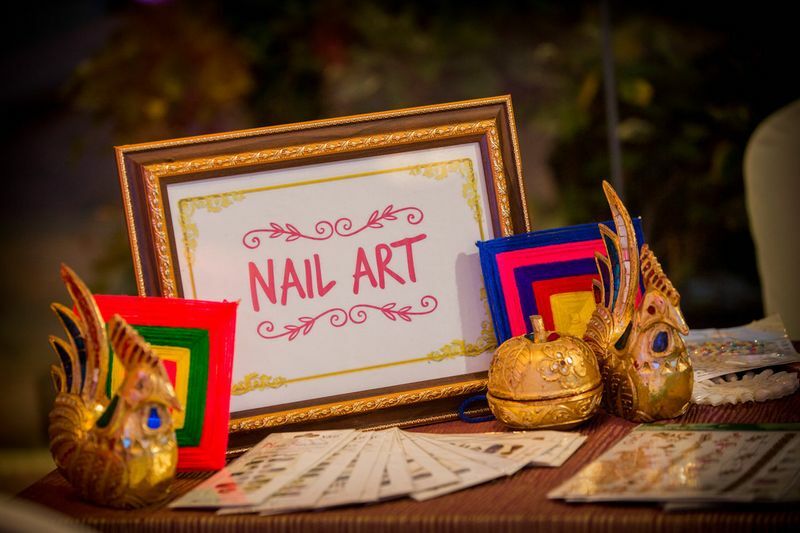 The wedding festivities were brought to life by beautiful details, thoughtful touches and unique ideas. 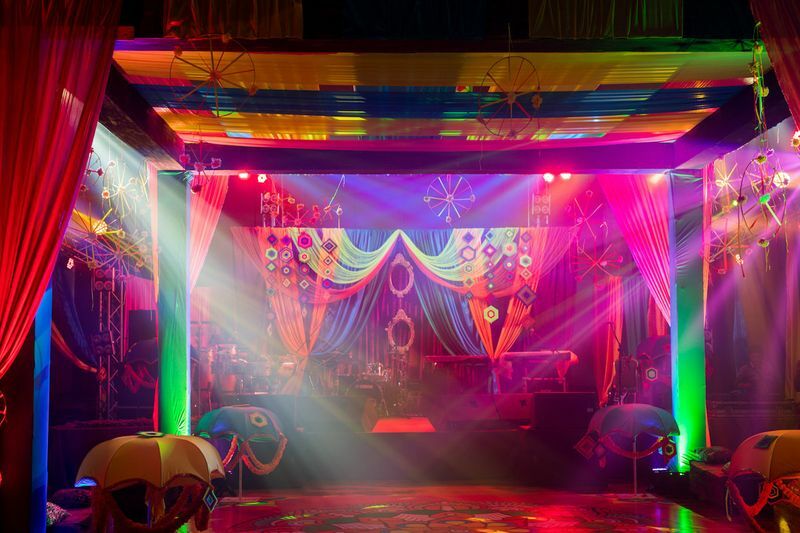 We at F5 made each function starkly different from one another with shades of Thai culture interspersed with several entertainment acts. The vision was to make their happily ever after, a fairytale personified." 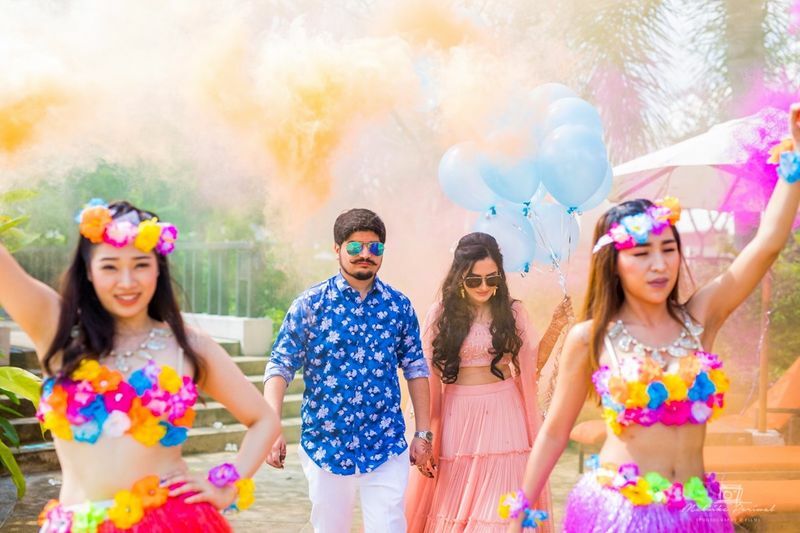 Vendors: Venue: Sheraton Hua Hin Wedding Planning & Decor: F5 Weddings★ 5 Photography: Malvika Periwal Photography Bride's Outfits: Mehendi by Liz Paul★ 4.4 , Pool Party by MonikaNidhii and Sangeet by Simaaya★ 3.1 . 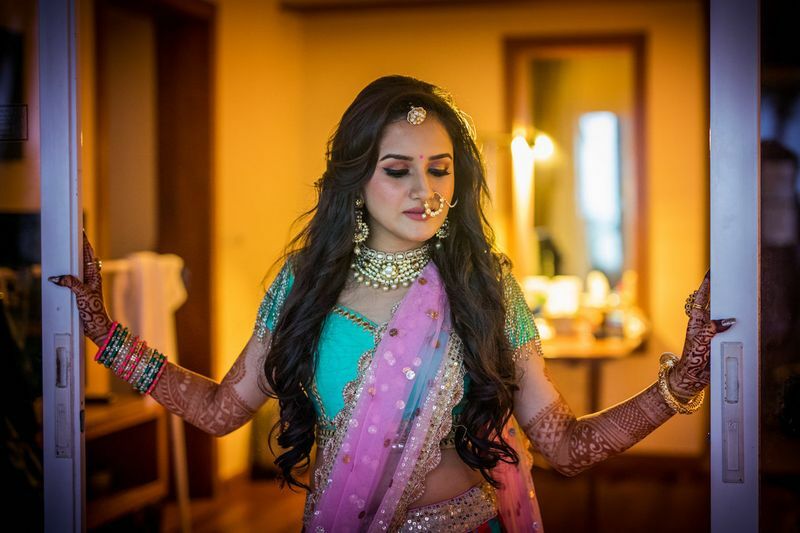 This Bride Designed The Outfits For Everyone At Her Mehendi! Unique New Functions Couples Are Organising Through Their Wedding Week! Stunning Phuket Wedding With A Bride In Shimmery Gold! 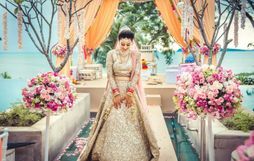 A Stunning Temple Wedding With The Bride In Her Mother's Gorgeous 30-Year Old Outfit! 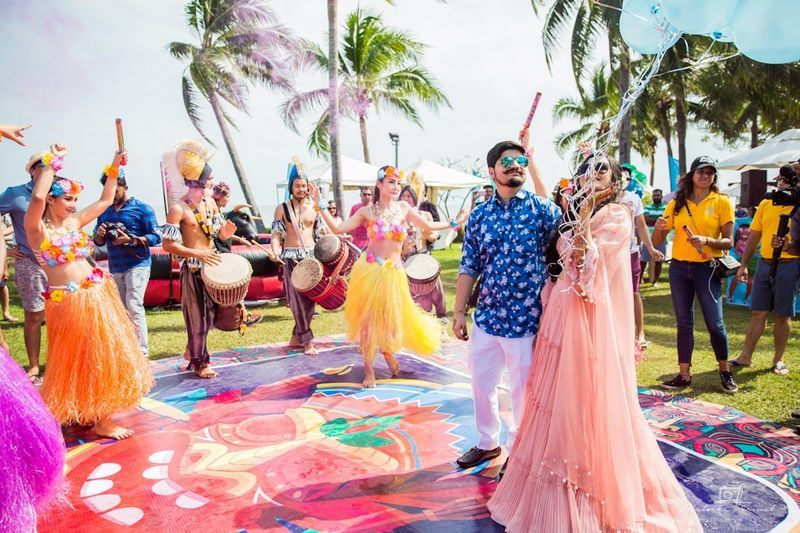 Quirky Outfits And A Whimsy Bride At This Pretty Raipur Wedding! A Nutritionist Gives Us The Perfect 3-Month Plan To Get You In Shape For The Wedding!